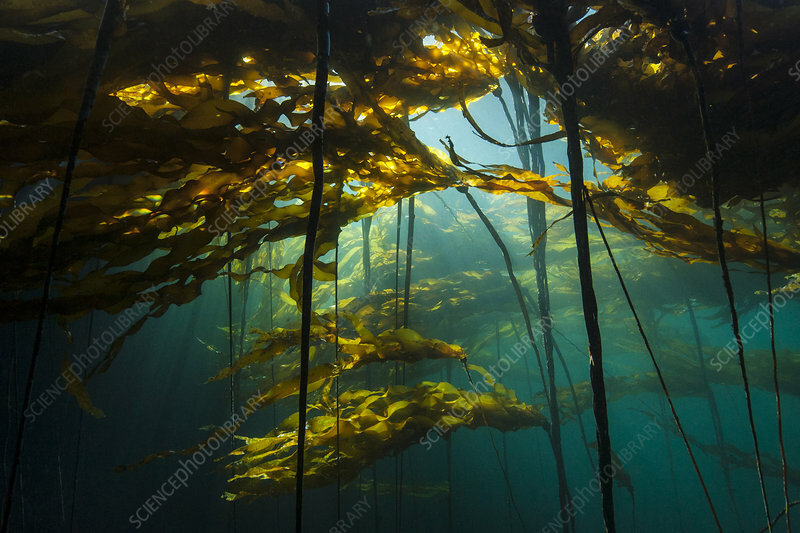 Scenic view of a bull kelp forest (Nereocystis luetkeana) with sunlight shining through the fronds. Browning Pass, Port Hardy, Vancouver Island, British Columbia. Canada. North East Pacific Ocean.